So I know I am a little late on the bandwagon for this book but I have just recently finished it and now I know why everyone was talking about it. 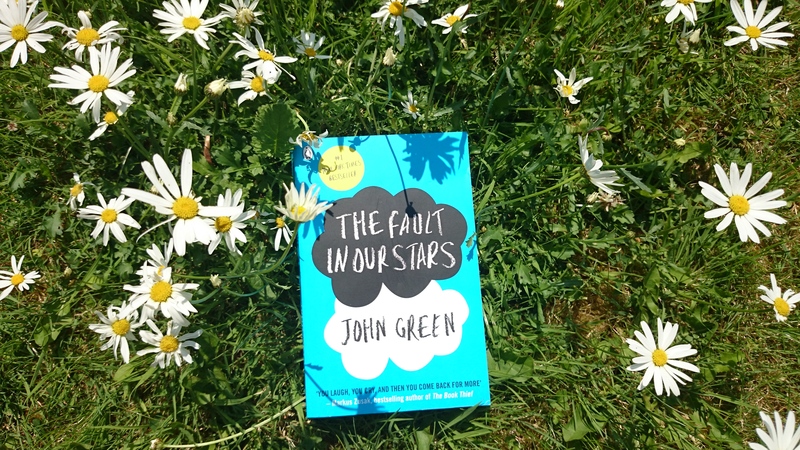 If you don’t know (where have you been) this is a book ‘The Fault in our Stars’ by John Green and it is amazing. The book follows the story of the two protagonists of Hazel Grace Lancaster and Augustus Walters and their journey as they become friends. The two meet at a cancer support group when Augustus comes to support his friend Issac who is also Hazel’s friend. From here the book follows their journey as their friendship grows and a love story develops. This is all I will tell you as I don’t want to ruin it and want you to read it because it is amazing. I must warn you that it is a bit of a tear jerk-er and I have to confess that for the last couple of chapters of the book I had to read them by myself in my room as the tears started flowing. I have to say I really loved this book which you could see in the time it took me to read it – 3 days- as I just couldn’t put it down. John Green’s writing is so simply beautiful and amazing and I fell more in love with the characters and the story with every turn of the page. I would really recommend this book to read as it is just so beautifully written and wonderful. One of the reasons I decided to read the book now is because the film has just come out in cinemas and I wanted to read the book before I watched the film. I haven’t had time to go to see the film yet but I know that when I do I’ll need to bring the Kleenex because I can assure you the tears will be flowing. Thanks for sharing. I know what book to grab next!